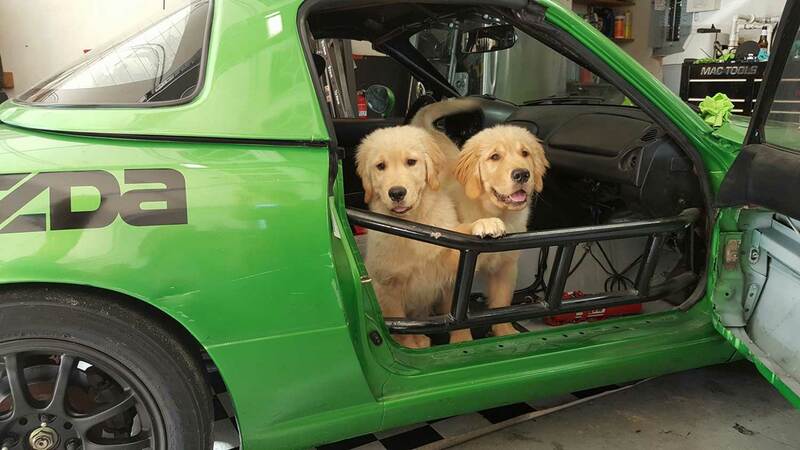 Aaron got into racing by competing in a few chump-car races with friends and soon became addicted. 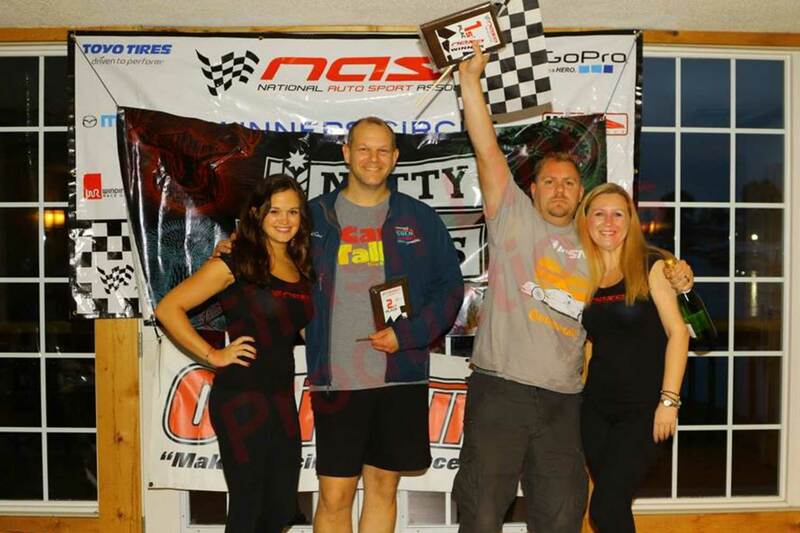 So much so that he completely changed careers so that he could be around racing full time, and he is the Shop Manager All Aspects Motorsports, a speed shop in Chesapeake, Virginia. 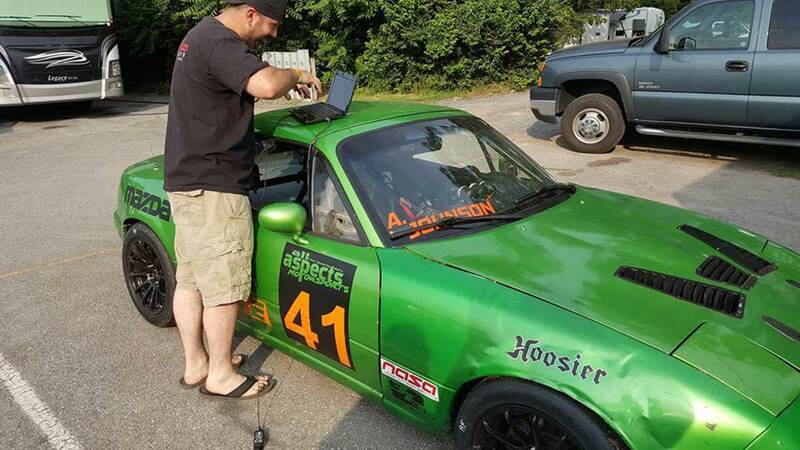 The next step was for Aaron to build himself a Mazda Miata to compete in NASA’s TTE/PTE class, and immediately did very well in it, and soon he decided to subject himself to the ultimate challenge by competing in the the ultra competitive Spec Miata class. 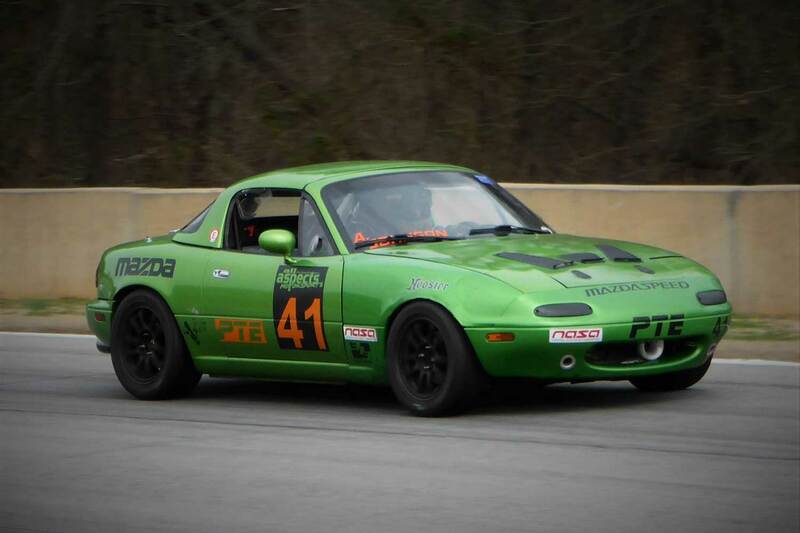 Aaron acquired a 2nd generation NA 1.8 Spec Miata in fair condition, bought a fresh Rossini Engine, and then in October 2016 he completely tore down the car and rebuilt it for the 2017 season. 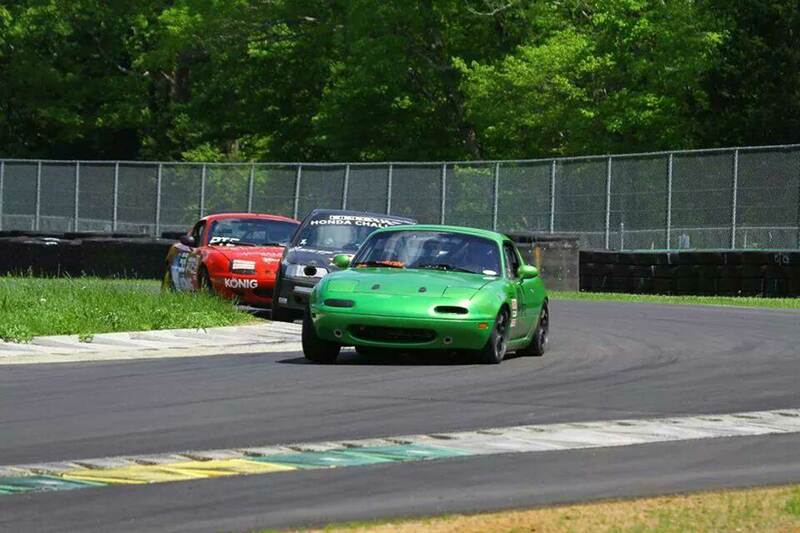 In his first Spec Miata race Aaron placed 5th out of 20 cars and his grandparents were here to watch him race! Before long he was competing at the front of the class, putting his car on the pole and getting everyone’s attention. 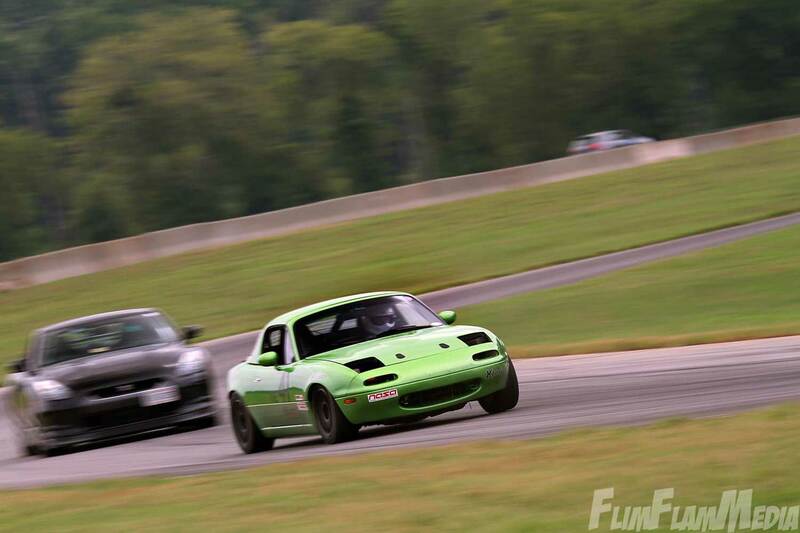 By June of 2017, in just six races, Aaron qualified his car on pole on 3 occasions and scored two wins in Spec Miata.